It is a huge advantage both for yourself as tester and all your matches if there is a GEDCOM-file with all your known direct ancestors uploaded to the account. If you do not use a genealogy program at all, it is also possible to add your ancestors one by one to your FTDNA-account, myFamilyTree. We do however recommend using genealogy software, and then uploading, as this will ensure you have a copy of all your work. A GEDCOM-file is a computer file created from genealogy software, which shows information from your ancestry tree. All types of genealogy software can be used from the simpler freeware to the more extensive programs. See our general page on genealogy for links to suggestions. To get the full value of your Family Finder-test, you need to compare all direct ancestors with your matches, all lines for at least 5-6 generations, preferably even further back. There are a lot of ways to do this comparison, and the easiest is to upload a GEDCOM directly to your FTDNA account. It will then be visible (readable) to all your matches as well as the project administrators. It cannot be downloaded again by anyone else. You can remove or replace the file again when you wish. Do you already have a GEDCOM-file with all your direct ancestors? Log in with your kit number and password, and click the “Have a GEDCOM”-icon in your account to upload. How to create a tailored GEDCOM for FTDNA? There is no problem uploading a standard GEDCOM-export to your account. Choose “UTF-8” as character set to be able to show Norwegian letters æ ø å. The standard setting for a GEDCOM uploaded to your FTDNA account hides all living people and anyone born the last 100 years; they show up as “hidden” in the tree view. Sometimes people wish a little more anonymity than this, and wants to hide data for a few more generations. This is possible, see below. There are a lot of different genealogy software programs, but when it comes to generating/exporting GEDCOMs they are quite similar. 1. Open your software (genealogy program) with the most recent version of your ancestry. 2. Find the option to “export to GEDCOM”, “create GEDCOM-file” or similar function in your software. The look at options/settings for the export, and choose “only direct ancestors” with yourself (or the tested person you are creating a GEDCOM for) as focus person – then set the number of generations exported. You may want to leave out uncertain lines far back, and FTDNA will only show a max of 12 generations anyhow. If you choose the whole file it might easily become too large to upload and you get technical issues when trying. 3. Save the created file with a useful file name like “ABC direct ancestry” (ABC being your initials), so you don’t mix it up with other file versions. 4. Open this newly created “direct ancestors”-file again in your program as “new” tree/file, and remeber to create a separate name for the file so it does not replace your main file with complete data; you do not want to lose all that information! 6. Save the changes. Then export everything from this new file to a new GEDCOM – you may call it “ABC public” to distinguish it from other versions with more private information. 7. Finally, log in to your FTDNA-account with your kit number and password, choose “GEDCOM” in the menu (or click the icon), then upload the file. 8. Important: When the file is uploaded to FTDNA you will get a suggestion of who you (or the test person) is in the file: find the correct name by searching (the name of the person actually tested, in this account) and click that name – this will decide which person’s ancestry the tree shows. 9. Open the GEDCOM-file in your FTDNA account, and study how it looks. Choose “all” under generations (standard has 4) to see the complete file (use arrow buttons on your keyboard to navigate). If there are errors, you can delete the file and upload a new one with corrections. 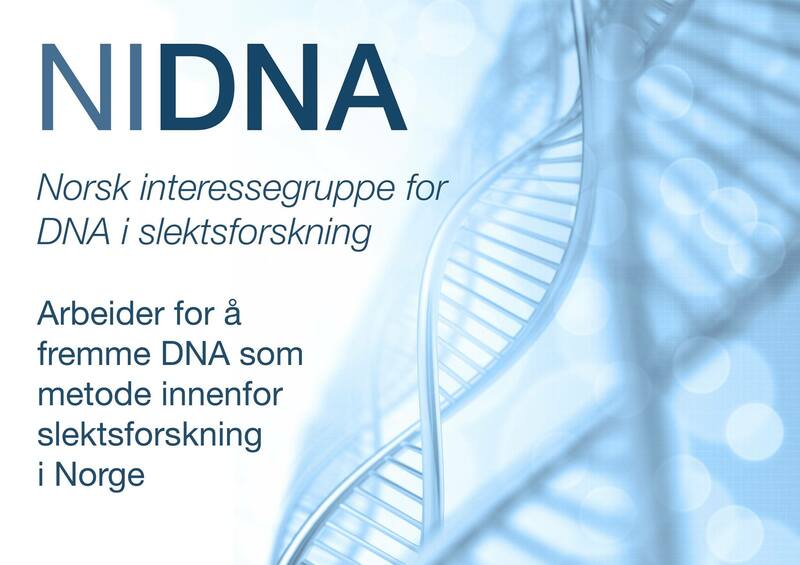 If you find the actual upload to FTDNA difficult, you can send the final version of your public GEDCOM to project administrators at info@norwaydna.no, so we can do it fr you.